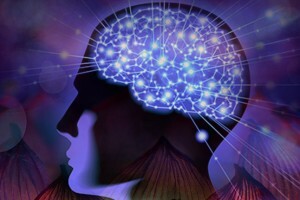 A scientific breakthrough has demonstrated conclusively that the human brain can give rise to new brain cells and spawn new neurons to regenerate itself and repair broken circuitry caused by again, damage or disease. Master Choa Kok Sui,the foremost present day authority in utilizing energy or prana in healing, wellness and spirituality, gifts us with this book on brain-power that is unlike any other in the breadth and depth of information, understanding and simplicity that have always been hallmarks of all his books. He shows us how the Superbrain Yoga can provide the "energy fuel" that can keep our brain fit and functional, and how these can help counter the common mental effects of aging, memory loss, as well as dementia and Alzheimer's disease. It increases the focus and the power of concentration among children. Improves emotional intelligence in children. It serves to pacify and normalize the behaviour patterns of children. It increases the power of the memory to retain and recall new information. This has the potential to improve the group dynamics dramatically.